Miranda has been involved in Traditional Asian Medicine from an early age. While in high school she was a student of yoga and massage. Later, her college education focused on a broad range of Oriental Healing techniques. At that time, Miranda spent two semesters living in India studying herbal medicine. As a graduate student, Miranda studied Acupuncture, Chinese Herbal Medicine and nutrition. 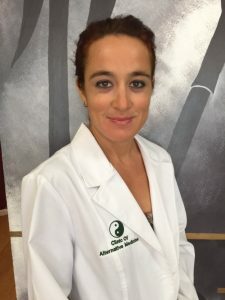 Miranda brings Acupuncture, Herbal Therapy, Facial Rejuvenation and multiple massage techniques to the Key West Wellness Center.